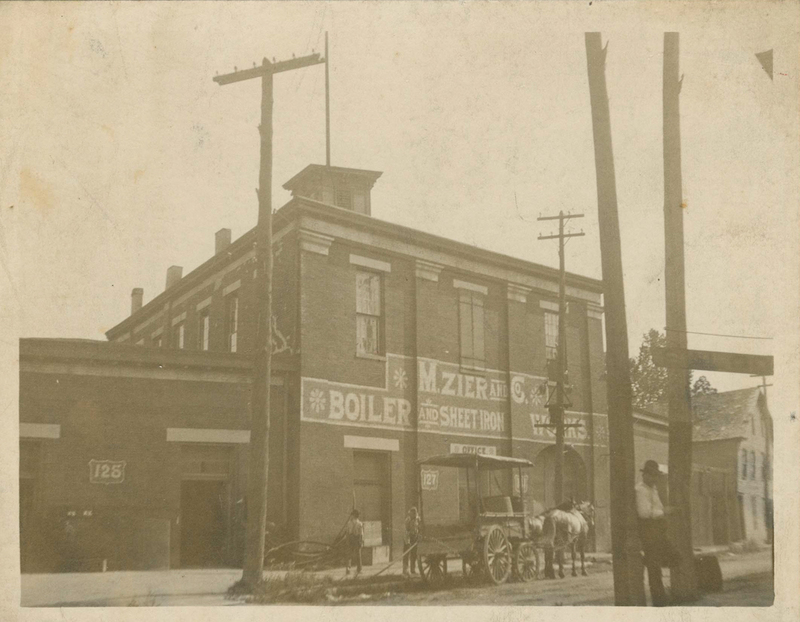 The New Albany and Salem Railroad played a crucial role in the commercial and industrial development of southern Indiana for more than a century. Organized in 1847, the railroad linked New Albany with Salem, Indiana, the seat of Washington County. The route followed a stagecoach line that ran between Indianapolis and Louisville through Bloomington. The first train reached Salem in 1850. By then, engineers had already begun surveying a route northward with ambitions of establishing service to Michigan City, a bustling town on the south side of Lake Michigan, 288 miles from the Ohio River. As settlers poured into Illinois, Michigan City seemed poised to become a nexus of commerce and trade. The rapid growth of Chicago, which lies about fifty miles farther west, dashed those hopes. In 1859, ownership of the line passed to a new group of investors that renamed it the Louisville, New Albany, and Chicago Railroad. Construction of a connecting line to Chicago began immediately. The new company became a feeder route for large rail systems that transported raw materials and agricultural products to urban-industrial centers. The founding of the Louisville, New Albany, and Chicago marked a dramatic change in focus. 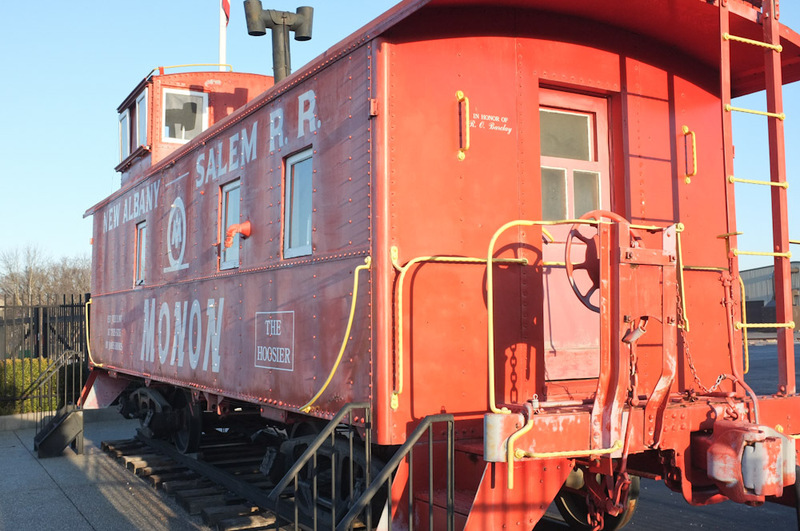 Like most railroads in pre-Civil War America, the New Albany and Salem began as a local enterprise. Its sole intention lay in boosting the fortunes of the two towns represented in its name. Financing came from businessmen and supporters in both towns and the railroad’s engines took their names from officers of the road. 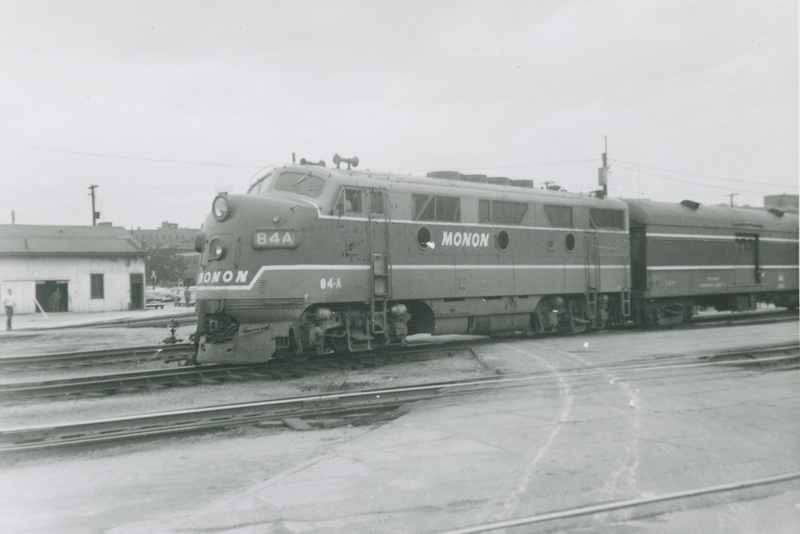 Early engines included the James Brooks, the George F. Talman, the George Lyman, and the B. F. Maston. The one exception was “Sampson,” an engine named for the strong man of the Bible. 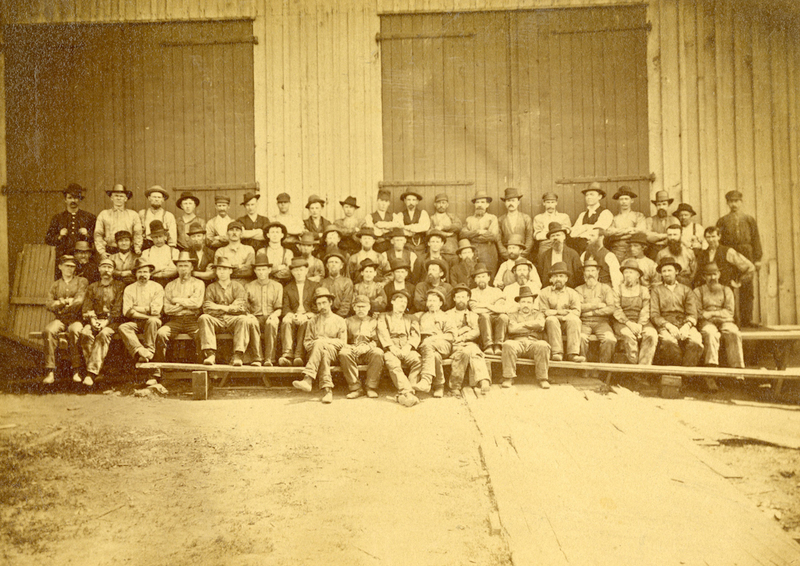 Although the New Albany and Salem Railroad is best remembered as an engine of commercial development, it also played a role in the struggle over slavery. During the 1850s, local newspapers intermittently printed stories about fugitive slaves traveling as stowaways on New Albany and Salem trains. Train crews may have turned a blind eye toward runaways because of the strong anti-slavery sentiments of James Brooks, a staunch Republican then serving as president of the railroad. During the twentieth century, automobile and truck transportation reduced America’s dependence on the railroad. The former New Albany and Salem line became part of the Louisville and Nashville Railroad in 1971 and was later bought by CSX Corporation. 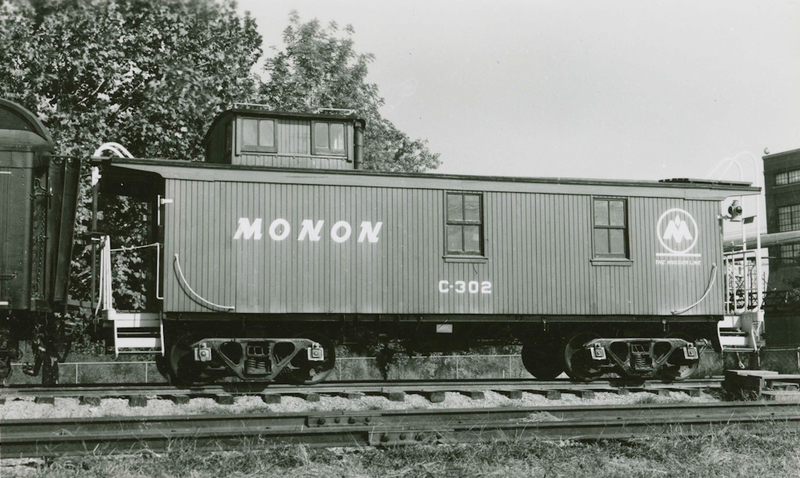 Evidence of the influence of railroad transportation remains present throughout southern Indiana. An Indiana Historical Bureau marker on the corner of Bank Street and Culbertson Avenue in downtown New Albany recounts the history of New Albany and Salem Railroad. 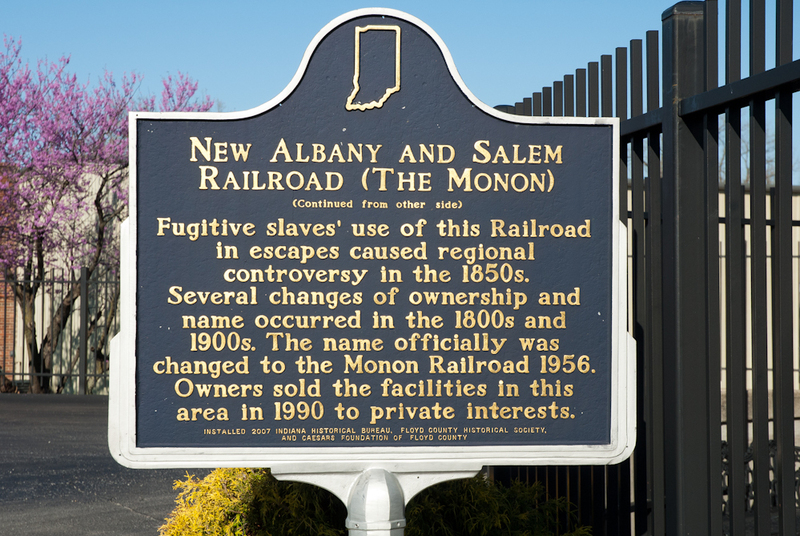 For more about this topic, visit our New Albany and Salem (Monon) Railroad Station page! 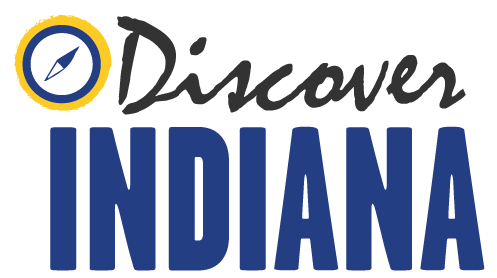 John Slack, Mary K. Marlatt, Benjamin Gies, and Ellis Cassity, “New Albany and Salem Railroad,” Discover Indiana, accessed April 25, 2019, https://publichistory.iupui.edu/items/show/99. Betty Lou Amster, New Albany on the Ohio: Historical Review 1813­-1963 (New Albany: Sesquicentennial Committee, 1963).Frank F. Hargrave, A Pioneer Indiana Railroad: The Origin and Development of the Monon (Indianapolis: William B. Burford, 1932)Thomas Carter Perring, “The New Albany­Salem Railroad -- Incidents of Road and Men,” Indiana Magazine of History 15, no. 4 (Dec. 1919). Published on Oct 21, 2015. Last updated on Apr 2, 2019.